OK OK. There’s more to KleptoCats than just hilarious, a-MEOW-zingly kawaii, blow-your mind cute cats… they have a dark side too. They can’t stop stealing!!! 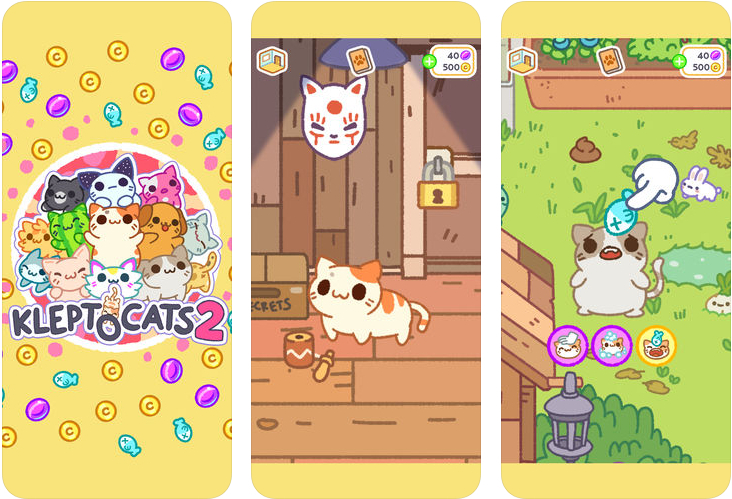 KleptoCats 2, the sequel to the viral phenomenon, KleptoCats, brings back all your favorite feline friends along with some fresh new kitties. It’s 2x more cute, 2x more fun, 2x more mysterious…and, yep you guessed it, 1337x pure PAW-someness! OMG just go tap “Install” right now!!! KleptoCats are waiting for you!